Red Hat Enterprise Linux 6.1 was released this week (May 2011), just over six months since the release of 6.0 in October 2010. So let's use this opportunity to take a quick look back over the vulnerabilities and security updates made in that time, specifically for Red Hat Enterprise Linux 6 Server. The chart below illustrates the total number of security updates issued for Red Hat Enterprise Linux 6 Server if you had installed 6.0, up to and including the 6.1 release, broken down by severity. It's split into two columns, one for the packages you'd get if you did a default install, and the other if you installed every single package (which is unlikely as it would involve a bit of manual effort to select every one). For a given installation, the number of package updates and vulnerabilities that affected you will depend on exactly what you have installed or removed. So, for a default install, from release of 6.0 up to and including 6.1, we shipped 54 advisories to address 195 vulnerabilities. 2 advisories were rated critical, 29 were important, and the remaining 23 were moderate and low. Or, for all packages, from release of 6.0 up to and including 6.1, we shipped 102 advisories to address 345 vulnerabilities. 8 advisories were rated critical, 39 were important, and the remaining 55 were moderate and low. These figures include 10 advisories we released on the day we shipped 6.0. This was because we froze package updates some months before releasing the product. Two of those updates were rated critical, an update to Firefox, and to Samba. An update to Samba (October 2010) where a malicious client could potentially run arbitrary code as the Samba server. Samba is a default install package but the server is not enabled by default. Four updates to Firefox (October 2010, December 2010, March 2011, April 2011) where a malicious web site could potentially run arbitrary code as the user running Firefox. Two updates to Thunderbird (March 2011, April 2011) where a malicious email message could potentially run arbitrary code as the user running Thunderbird. An update to Pango (March 2011) where an application using Pango to parse untrusted font data (such as Firefox) could potentially run arbitrary code as the privileges of the user. Pango is a default install package. Updates to correct all of the 37 critical vulnerabilities were available via Red Hat Network either the same day or the next calendar day after the issues were public. This data is interesting to get a feel for the risk of running Enterprise Linux 6 Server, but isn't really useful for comparisons with other major versions, distributions, or operating systems -- for example, a default install of Red Hat Enterprise Linux 4AS and 6 Server did not include Firefox, but 5 Server does. You can use our public security measurement data and tools, and run your own custom metrics for any given Red Hat product, package set, timescales, and severity range of interest. Earlier this year, Red Hat joined the Common Vulnerability Reporting Framework (CVRF) working group run by ICASI. The goal of CVRF is to provide a way to share information about security updates in a machine-readable format. Red Hat already produce a version of our security advisories in machine readable format, as OVAL definitions, but these are really designed for automated test tools to determine the need to apply an update. CVRF looked like it would be more useful for providing customers with a machine readable view of our advisories. After many iterations at getting right schema, CVRF 1.0 was released this week. Red Hat is not yet providing an official archive with CVRF representations of our advisories, but we have created tools internally to support it and allow us to automatically create CVRF documents based on our advisory database. We've provided a sample set of advisories in CVRF format for download. Let's take one of these samples, a recent Red Hat Enterprise Linux security advisory and examine how it looks when automatically converted to a CVRF document. Our advisories often fix more than one vulnerability at a time and for more than one version of a product, but for this example we'll keep it simple. RHSA-2010:0888 is an Enterprise Linux 6 update to fix the vulnerability CVE-2010-3864 affecting OpenSSL. The first section, above, is pretty straightforward: we're publishing this CVRF as the authoritative vendor for Red Hat Enterprise Linux, and it's a Security Advisory. All our text fields have a language identifier ("en") as future CVRF advisories could contain localized parts. The next section is about document revision history and is a mandatory requirement of CVRF documents. This is tricky for Red Hat to automatically generate from our existing advisories: we use an internal "Push Count" as our revision number, and occasional problems during pushing an advisory live mean that our first real public version is not "1". In addition, when we do release an update to an advisory, we update the description text with details of the changes made, so we don't have this text stored in a separate field. So for now our CVRF "RevisionDescription" sections will not have useful descriptions, but the initial and current release dates will be accurate. During the design of CVRF we championed this separate "DocumentGenerator" section, which mirrors a similar section in OVAL. This can help us track down any errors in published documents and allows us to regenerate a document if our automated script is altered or fixed without causing a new document revision. The document summary and details sections above are directly copied from the equivalent sections in our text advisory. This does mean however that the details of the vulnerabilities will get repeated, as later each vulnerability gets its own section with description, CVE name, and acknowledgments. References can appear both at the top level of a CVRF document as well as for each vulnerability. The most important top level reference is the self-reference which links to the full representation of the advisory. In early CVRF drafts this had a separate attribute so that it was possible to extract the self reference URL; we think that would have been useful to still be there. The final top level directives give our severity rating and issuing authority. The severity is a free-text field and it's up to each vendor to use their own scheme for this. In the earlier references section we already gave a URL that described the severity levels being used; for a future CVRF version we should have that URL referenced as part of the AggregateSeverity tag. We produce one vulnerability section for each CVE fixed, and the vulnerability details are abstracted from our full text description. VendorRemediationStatus will always be "Completed" for all our advisories as they are always released at the same time as a fix. Also included is a per-vulnerability impact rating and CVSS base score. These are currently not included in our HTML advisories, but are available from our CVE database and Bugzilla entries; so it's handy to be able to have them all in the same document for the first time. The remediation section mirrors our advisories by giving a list of packages and the versions that first contained the fix for the issue. We have multiple variants of Red Hat Enterprise Linux 6, and some vulnerabilities will affect packages only shipped in some subset of variants, so the duplication is required. Finally, the per-vulnerability reference section links to our CVE database for each CVE, and the Red Hat bug database for more technical details of the vulnerability and how it was addressed. Our example advisory only had one vulnerability, but the whole vulnerability section is repeated where multiple are addressed. Overall we've been really pleased with the way CVRF has turned out for it's first release, and we think it will be a useful way for vendors such as us to provide machine-readable advisories to customers as well as to tool vendors, filling a gap between our OVAL XML and our text and HTML advisories. We'll be trialling CVRF advisories later this year, drop an email to secalert@redhat.com if you have comments on our CVRF samples. Starting with Red Hat Enterprise Linux 6 we have switched to using SHA-256 signatures on all RPM packages and to a 4096-bit RSA signing key. We've done this because it is current best practice to migrate away from MD5 and SHA-1 hashes due to various flaws found in them. Those flaws don't yet directly pose a threat to package signing however, and therefore our existing shipped products which used these older hashes will continue to use their existing keys until they reach their end of life. A similar switch to stronger signing was already made in Fedora 11. This switch involved some changes to the RPM application. So what this means is that we used new signing keys for both the beta and final release packages for Red Hat Enterprise Linux 6. Those keys were created and are protected by a hardware security module, as we've done with previous keys. Details and fingerprint of the new key, #fd431d51. 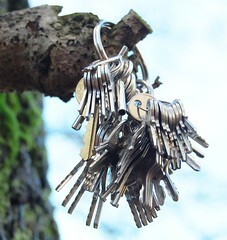 The auxiliary key mentioned above is for emergency use. We created it some time ago on a new standalone machine, took a hardcopy printout of the private key and passphrase, stored them separately and securely, and destroyed the software copies. We've planned for many eventualities, but in the unlikely event we lose the ability to sign with the hardware key we could retrieve the printout, type in the key, and continue to sign updates. It came as no surprise when Microsoft admitted to quiet security patching. We knew many years ago that they did this: not counting extra vulnerabilities that were found internally or by researchers contracted to work for them. For closed source, single vendor software, this isn't too big of a deal - it's not like the user has a choice if they need to update some application to address one critical vulnerability or 20. When you look back, before they admitted to this practice, Microsoft actively used vulnerability counts in reports as a tool to discredit the security of open source distributions. Famously even Steve Ballmer participated in counting vulnerabilities using candy. In other news, the Red Hat Enterprise Linux 4 risk report we release each year has been published (PDF). This whitepaper looks at the state of security for the first five years of Red Hat Enterprise Linux 4 from its release on February 15th, 2005. It includes metrics, key vulnerabilities, and the most common ways users were affected by security issues. "Red Hat knew about 52% of the security vulnerabilities that we fixed in advance of them being publicly disclosed. The average time between Red Hat knowing about an issue and it being made public was 22 days (median 10 days).... A default installation of Red Hat Enterprise Linux 4 AS was vulnerable to 14 critical security issues over the entire five years. " Red Hat Enterprise Linux 5.5 was released at the end of March 2010, just under 7 months since the release of 5.4 in September 2009. So let's use this opportunity to take a quick look back over the vulnerabilities and security updates we've made in that time, specifically for Red Hat Enterprise Linux 5 Server. The chart below illustrates the total number of security updates issued for Red Hat Enterprise Linux 5 Server if you had installed 5.4, up to and including the 5.5 release, broken down by severity. I've split it into two columns, one for the packages you'd get if you did a default install, and the other if you installed every single package (which is unlikely as it would involve a bit of manual effort to select every one). For a given installation, the number of package updates and vulnerabilities that affected you will depend on exactly what you have installed or removed. So for a default install, from release of 5.4 up to and including 5.5, we shipped 52 advisories to address 140 vulnerabilities. 5 advisories were rated critical, 14 were important, and the remaining 33 were moderate and low. Or, for all packages, from release of 5.4 to and including 5.5, we shipped 75 advisories to address 187 vulnerabilities. 6 advisories were rated critical, 18 were important, and the remaining 51 were moderate and low. The 6 critical advisories were for 3 different packages. Given the nature of the flaws, ExecShield protections in RHEL5 should make exploiting the memory flaws harder. Four updates to Firefox (September 2009, October 2009, December 2009, February 2010) where a malicious web site could potentially run arbitrary code as the user running Firefox. An update to kdelibs (November 2009), where a malicious web site could potentially run arbitrary code as the user running the Konqueror browser. kdelibs is not a default installation package. An update to krb5, the Kerberos network authentication system (January 2010), where a remote KDC client could cause a crash or run arbitrary code as root. This issue only affected users that have configured and enabled krb5. Updates to correct 24 out of the 25 critical vulnerabilities were available via Red Hat Network either the same day, or up to one calendar day after the issues were public. The update to fix Konqueror took us 4 calendar days. Overall, for Red Hat Enterprise Linux 5 since release to date, 98% of critical vulnerabilities have had an update available to address them available from the Red Hat Network either the same day or the next calendar day after the issue was public. Red Hat Enterprise Linux since 5.2 contained backported patches from the upstream Linux kernel to add the ability to restrict unprivileged mapping of low memory, designed to mitigate NULL pointer dereference flaws. In the last risk report we mentioned it was found that this protection was not sufficient, as a system with SELinux enabled was more permissive in allowing local users in the unconfined_t domain to map low memory areas even if the mmap_min_addr restriction is enabled. This is CVE-2009-2695 and was addressed in a kernel update in November 2009. This data is interesting to get a feel for the risk of running Enterprise Linux 5 Server, but isn't really useful for comparisons with other versions, distributions, or operating systems -- for example, a default install of Red Hat Enterprise Linux 4AS did not include Firefox, but 5 Server does. You can use our public security measurement data and tools, and run your own custom metrics for any given Red Hat product, package set, timescales, and severity range of interest. See also: 5.3 to 5.4, 5.2 to 5.3, 5.1 to 5.2, and 5.0 to 5.1 risk reports. And not because she's set the alarm for the wrong time, or used a 'crazy frog' sound theme, but because it had a remote root exploit. It's fixed now. It all started when I bought her a Chumby for Christmas. A Chumby is a little bedside device that can act as an alarm clock as well as running flash-lite applets. What made it especially appealing is that you can write your own applets if you want, and the whole thing is Linux-based and designed to be hackable: they correctly abide by the GPL and have their sources available, you can build and install your own software, you can even enable ssh and have a remote shell if you want to. And with NTP the clock is always at the right time, since I really don't like having out-of-sync clocks around the house. So it was time to connect another device to my wireless network: a device designed to be left on and permanently connected to the network, and having a connected microphone, in the bedroom. A quick look around the OS and I found that it had a web server accessible by default, and a pair of CGI scripts, written in shell script, running as root, that didn't correctly escape their input. (Hint: writing secure CGI scripts in shell is non-trivial). With a bit of careful manipulation (to get around some character handling in the code) I had a remote root shell on a default Chumby and could stream audio from the microphone remotely. Oops. Not too big a deal though as it's unlikely you're going to have it directly connected to the internet, although with some social engineering, if you know someone with a Chumby, you could do a cunning cross-site scripting attack and get a reverse shell that way. I contacted the Chumby folks and they dealt with this like an ideal vendor; acknowledging the issue, keeping in contact, and doing a security update. Good for them. I like this device and vendor so much I'm going to buy another Chumby, and a few colleagues from work are too. But how many other devices do we connect to our networks without thinking about them, and how many folks outside of the security paranoid have properly secured and segmented wireless networks? I've got a IP wireless network CCTV camera and a VOIP phone system both which seem to be running Linux (and both which seem to have vulnerabilities) to worry about next although harder since both are closed systems which haven't released their source. So for CVE database: CVE-2010-0418 is "Chumby One before 1.0.4 and Chumby Classic before 1.7.2 allows remote attackers to execute arbitrary commands via shell metacharacters in a carefully crafted request to the web interface". Reported 29 Dec 2009, vendor responded 29 Dec 2009, tested fix 3 Feb 2010, public and updates 4 Mar 2010. There have been quite a few stories over the last couple of weeks about the NULL character certificate flaw, such as this one from The Register. The stories center around how open source software such as Firefox was able to produce updates to correct this issue just a few days after the Blackhat conference, while Microsoft still hasn't fixed it and are "investigating a possible vulnerability in Windows presented during Black Hat". But the actual timeline is missing from these stories. The NULL character certificate flaw (CVE-2009-2408) was actually disclosed by two researchers working independantly who both happened to present the work at the same conference, Blackhat, in July this year. Dan Kaminsky mentioned it as part of a series of PKI flaws he disclosed. Marlinspike had found the same flaw, but was able to demonstrate it in practice by managing to get a trusted Certificate Authority to sign such a malicious certificate. The flaw was no Blackhat surprise; Dan Kaminsky actually found this issue many months ago and responsibly reported the issues to vendors including Red Hat, Microsoft, and Mozilla. We found out about this issue on 25th February 2009 and worked with Dan and some of the upstream projects on these issues in advance, so we had plenty of time to prepare updates and this is why we were able to have them ready to release just after the disclosure.